From 1941-1944, hundreds of thousands of Filipino soldiers fought and died under the command of American generals against the Japanese in the Philippines. This struggle included one of the worst military defeats in U.S. history, and a grisly period of imprisonment and occupation. 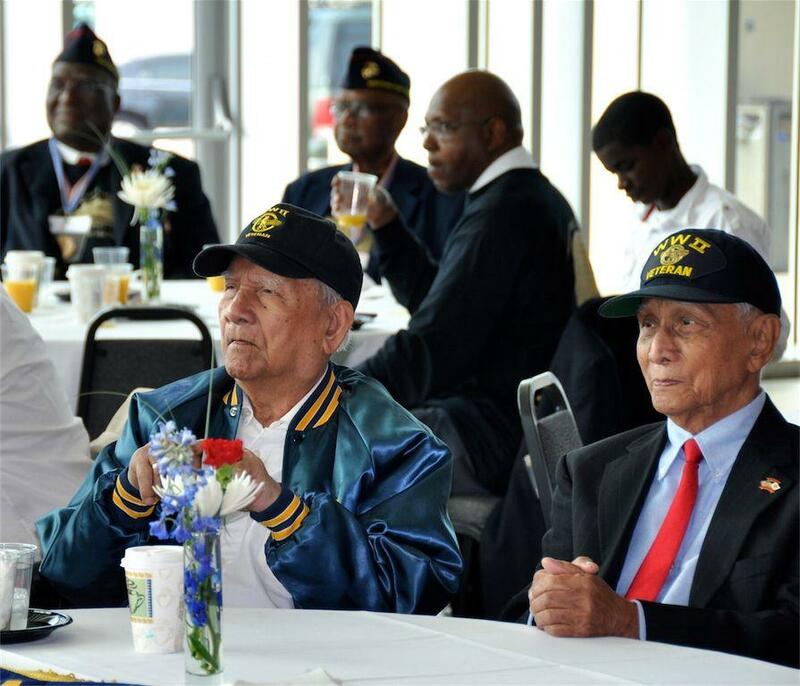 In exchange for their service in the United States Armed Forces of the Far East (USAFFE), Filipino soldiers were promised American citizenship and full veterans benefits. But Congress and President Truman reneged this offer in 1946. Only four thousand Filipino war veterans, out of an estimated 200,000 who survived the war, were able to get citizenship before the retraction was signed into law. You didn’t sleep through this section of US History. It was never taught. The role of Filipino soldiers in WWII has largely been erased from the history books. The Philippines was a large American holding in the South Pacific. And what’s more, it was vulnerable. 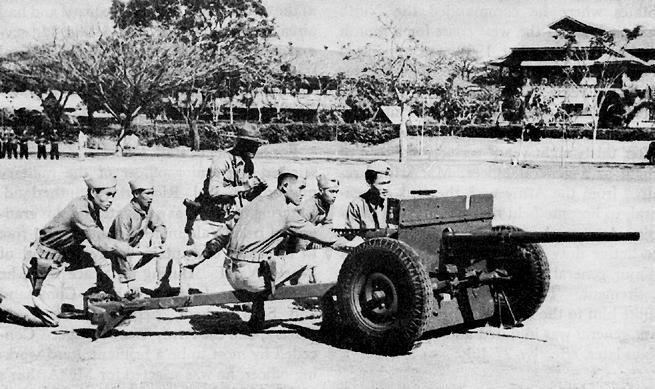 At the start of 1941, the Philippines had a meager army. It was a commonwealth of the United States from 1935 to 1946, and the US government was stewarding the archipelago’s transition from a territory of the United States into an independent nation. Part of that transition should have involved amassing a Filipino military — to replace the U.S. forces that had guarded the Philippines when it was a territory. 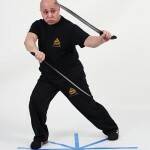 But development of such a force was slow. Had the Japanese attacked the Philippines in January 1941, eleven months before Pearl Harbor, they would have encountered a few thousand American troops and a few thousand Filipinos. Which is why, in the summer of 1941, following the 1940 Japanese capture of French Indochina, the U.S. started recruiting a Philippine defense force like crazy. For the first few decades of the 20th century, because the U.S. “owned” the Philippines, Filipinos were considered U.S. “nationals.” U.S. nationals can work and reside in the U.S. without restriction, carry a U.S. passport, and apply for citizenship under the same rules as other resident foreigners. As a result, in 1940, there were about 45,000 Filipinos in the United States, most of them service-aged, male farm and factory laborers. 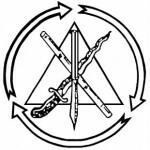 Military service was then, as it is now, one of the shorter and more reliable paths for an alien to achieve citizenship. From 1941 to the end of the war, the government streamlined the hell out of that path. Filipino men were recruited into the U.S. military and given citizenship in mass naturalization ceremonies. 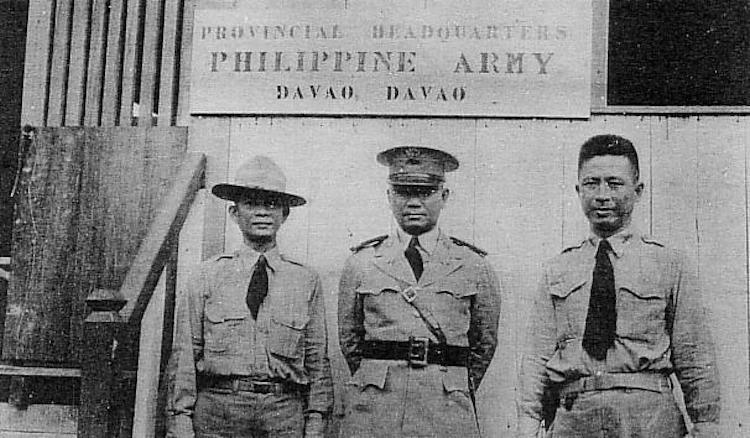 Nearly one third of draft-age Filipinos in the continental U.S. volunteered for the Army. 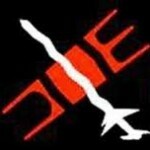 But the U.S. also recruited different branches of Philippine defenders from within the Philippines. 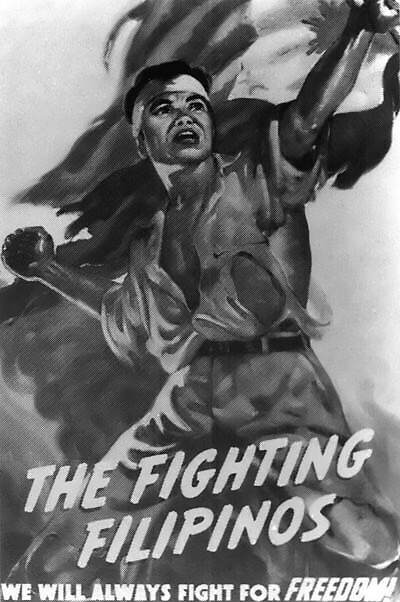 Many of these individuals, and the Filipino immigrants who enlisted in the continental U.S., were motivated by a desire to protect the Philippines, their home, from an attack by the Imperial Japanese. But the United States government sweetened the deal: President Roosevelt promised U.S. citizenship and full veterans benefits to Filipinos who took up arms against the Japanese. 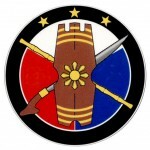 By late November, the United States Armed Forces in the Far East (USAFFE) was formed as the merger of the Philippine Commonwealth army and the US Armed Forces stationed in the Philippines. General Douglas MacArthur was made commander of the USAFFE. 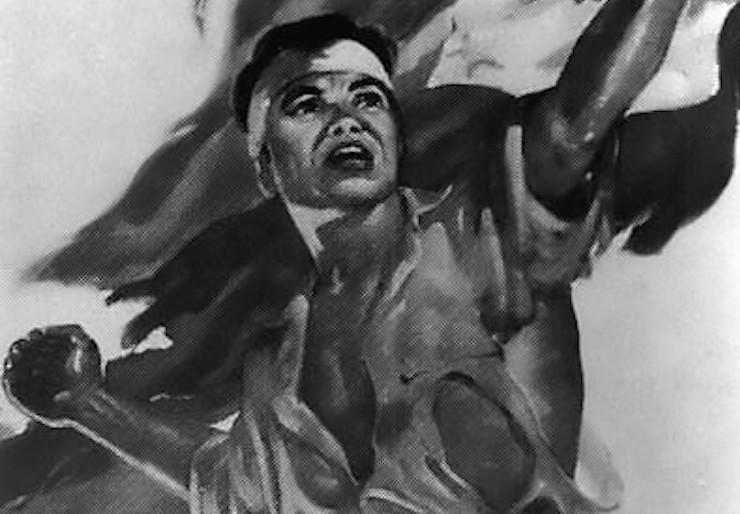 Ultimately, the allied forces in the Philippine campaign from 1941-1942 consisted of 120,000 Filipino troops and 30,000 American troops, some of whom were Filipino Americans. 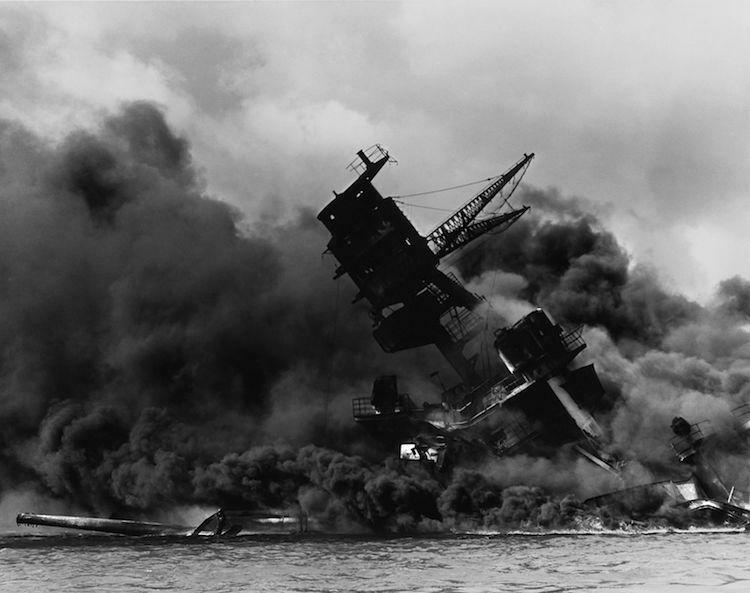 When Pearl Harbor was attacked on December 7, 1941, the Japanese forces surprised the defenders by attacking the Philippines a mere 8 hours later. Caught unaware and underprepared, the assault went very poorly for the allied side. 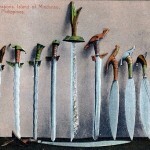 The standing Filipino defense forces hadn’t had time to adequately train. “Many units went into battle without ever having fired their weapons,” Louis Morton writes in The Fall of the Philippines. 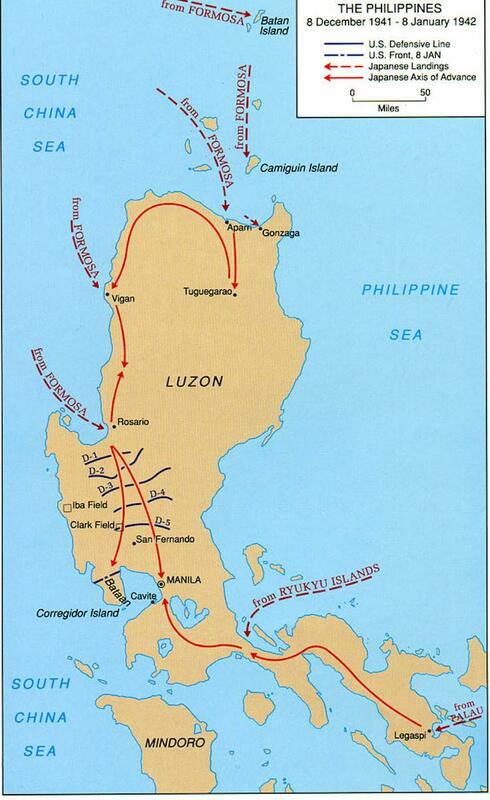 The Japanese first attacked from the North, but over the next several days, they landed on the northernmost major island, Luzon, at many different beaches on many different sides of the island. No reinforcements came, though they were sorely needed. This meant that the Bataan troops were left to fight the highly trained imperial army without provisions or reinforcements. But the dwindling forces were tenacious. After fighting for six months, five of those on half rations, the defenders at Bataan surrendered to the Japanese forces in May 1942. The ordeal that followed became known as the Bataan Death March. 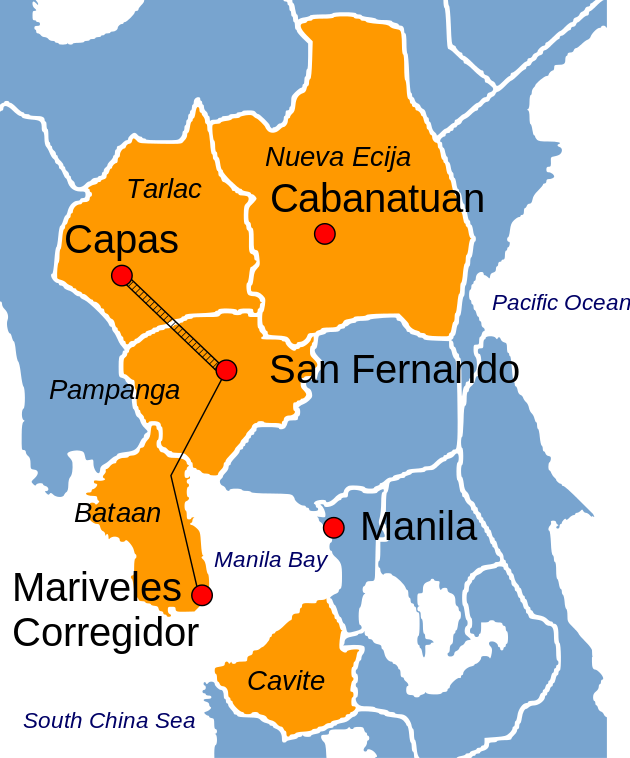 The Japanese elected to march the surrendered forces 62 miles from Mariveles, Bataan, to San Fernando, Pamgpanga. Once on the march, the men — many of whom were already malarial, starving, and exhausted — were not given any food or water. Those who flagged were physically abused by their captors. Those who were not able to continue were executed, often in gratuitously painful or humiliating ways. When they reached San Fernando, they were placed on a train and taken to Capas, Talac, where they were marched another six miles to POW Camp O’Donnell. Tens of thousands of allied soldiers made the march, and thousands of them died. Over the next several years, many more of them would die in captivity. Some were moved into other camps, or forced into slave labor. A period of brutal Japanese occupation reigned over the Philippines for two and a half years. In that time, escaped POWs and civilians joined the growing ranks of Filipino guerillas. 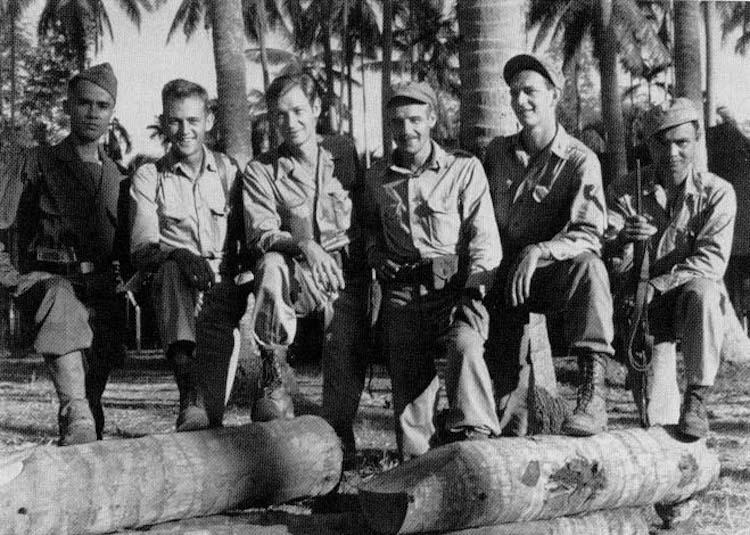 Many of these men ended up establishing liaisons with the exiled U.S. Army Command of the Southwest Pacific Area and placing themselves under MacArthur. In 1944, Commonwealth President Sergio Osmeña inducted ‘recognized guerrilla units’ — consisting of tens of thousands of individuals — into the Commonwealth Army. Allied forces began their liberation of the Philippines in October of 1944. The liberation ended, in allied victory, in the summer of 1945. The Filipino immigrants who were living in the U.S. and had served with the U.S. military during the war returned to civilian life as American citizens. But the Filipinos who enlisted from within the Philippines were not so fortunate. In 1946, President Truman signed the Rescission Act, which retroactively annulled the offer of citizenship and any veterans benefits promised to Filipino troops under measures like the G.I. Bill. Only four thousand Filipino World War II veterans obtained citizenship before the rescission. This was probably motivated by financial concerns — there were an estimated 200,000 Filipino veterans who survived the war. But of 66 countries allied with the United States in World War II, only Filipinos were denied benefits. Cecilia Gaerlan, founder and executive director of the Bataan Legacy Historical Society, sits in her mother’s home in the Lake Merced neighborhood of San Francisco. Guests remove their shoes to keep the wall-to-wall carpet soft and blonde. As we conduct our interview, Gaerlan’s mother is in the dining room, watching soap operas in Tagalog with her caretakers. 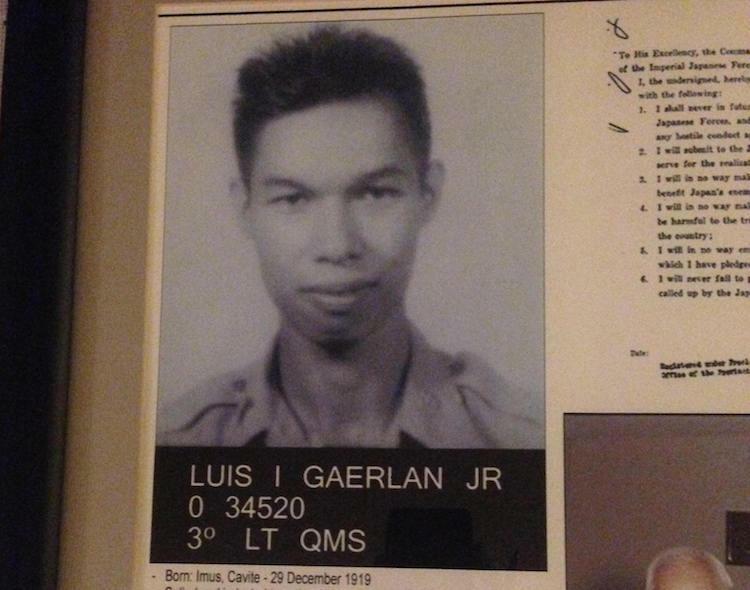 Gaerlan sits in the living room, surrounded by bookshelves stacked with framed photos of loved-ones. A photo of her father lies before her on a coffee table, alongside a record of his military service and a copy of the oath they made him take in Camp O’Donnell. “TATTATATATTATA!” she says, miming a machine gun. These days, Gaerlan makes several trips a month to Sacramento, helping and hounding the California Board of Education to implement the state law AB 199. The law “encourages the inclusion of the role of the Filipinos during World War II in the social sciences curriculum for grades 7-12.” It was passed in 2011, but is yet to be implemented. If Gaerlan succeeds, it will be a first for United States education. When it comes to material recognition, Filipino veterans have been lobbying the government for decades to undo the Rescission Act. In 1990, as part of the Immigration Act, George H. W. Bush passed a measure that extended an offer of citizenship to Filipino veterans. 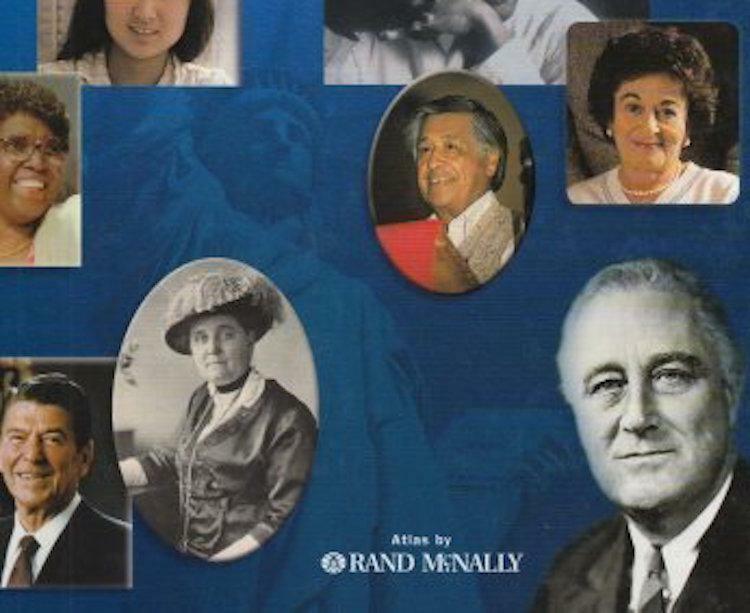 Even though it was 45 years after the fact, this resulted in a wave of immigration of tens of thousands of elderly Filipinos to the United States. Unfortunately, the act did not also extend veterans benefits to them — including old age pensions and veterans hospital medical care — and many of these new immigrants ended up on social security. As part of the 2009 stimulus bill, Obama payed out a lump sum to surviving Filipino veterans. 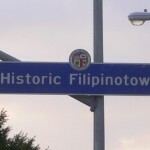 Filipino American citizens who served in the war were given $15,000, Filipinos who served in the war were given $9,000. But for many other veterans, the bigger insult is not the lost benefits. Most of the remaining survivors are in their 90s, now, and regretfully live in a world where their sacrifice is not appreciated or even known about. “The Bataan Death March has never, ever,” Gaerlan says, “been part of the history curriculum in American schools.” She also says it’s neglected in education in the Philippines. This is often explained as stemming from shame around the surrender of Bataan. But Gaerlan and her colleagues say there may be a geopolitical dimension to the blindness around Bataan, too. Japan is infamous for whitewashing its own history, especially in textbooks, and the Philippines is still economically dependent on both Japan and the United States. And the United States is still Japan’s close ally. There’s also the added shame around the Rescission Act, and the fact that so many veterans have lived and died without reward for their sacrifice. “I thought it was going to be an easy thing,” she said. “I didn’t realize this was going to be a multi-year process.” The California Board of Education only revises its curriculum guidelines about once a decade, so Gaerlan has seized this opportunity to get Bataan finally written into history. She started petitioning assembly members to strengthen the bill, she started a campaign on Change.org, she networked relentlessly. And it paid off. 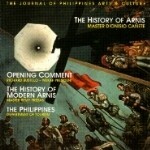 Gaerlan’s background is in the arts. She started campaigning for more public awareness of this chapter of history after a particularly reading of her novel, which is set in the Philippines during World War II. She asked who in the audience had heard of the Bataan Death March. “Nobody had heard of it!” she exclaims. She turned her novel into a play, and gave speeches on the historical background, between the scenes. 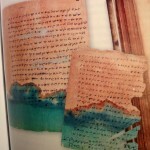 The writing, research, and performance of these pieces eventually led her to found a historical society. 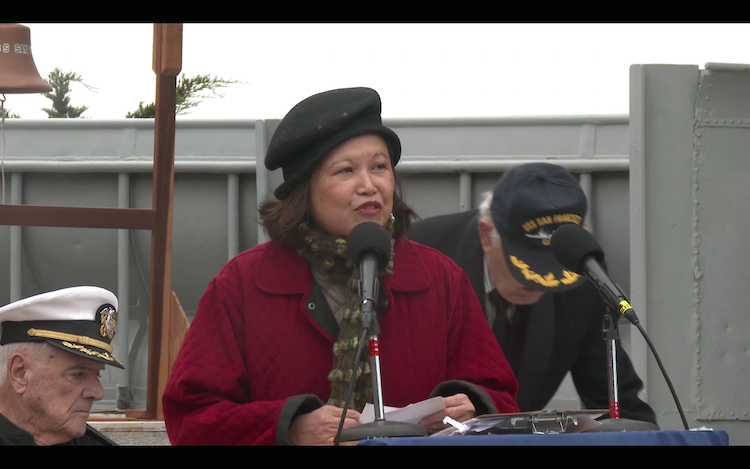 Now, twice a year, she holds major events on the subject, bringing in the veterans themselves, and former prisoners of war, to talk about their experience. 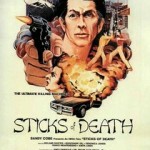 Concurrent to these events and her lobbying efforts, she is trying to fund a film. She wants to make a documentary for use as an educational tool. Not wanting to get involved in the lengthy process of petitioning textbook companies, she hopes that if she creates an accurate, classroom-friendly movie about Bataan, instructors will use it to meet the new curricular requirement. Gaerlan says she never should have been in charge of all this. “It only happened because nobody else wanted to do it!” she exclaims.